Have you heard of the 7 Principles of Prosperity™? In this video, Prosperity Economics Advisor Kim Butler reveals each of the seven principles and contrasts them to “typical” financial planning and advice.Using the 7 principles of Prosperity™, you can build wealth faster and more safely, while being able to USE your money when wanted or needed. Discover how “Prosperity Economics” lets you put control back in your corner, while allowing you to make your money work harder. Kim Butler is the CEO and Founder of Partners for Prosperity, LLC and Co-Founder of the Prosperity Economics Movement. 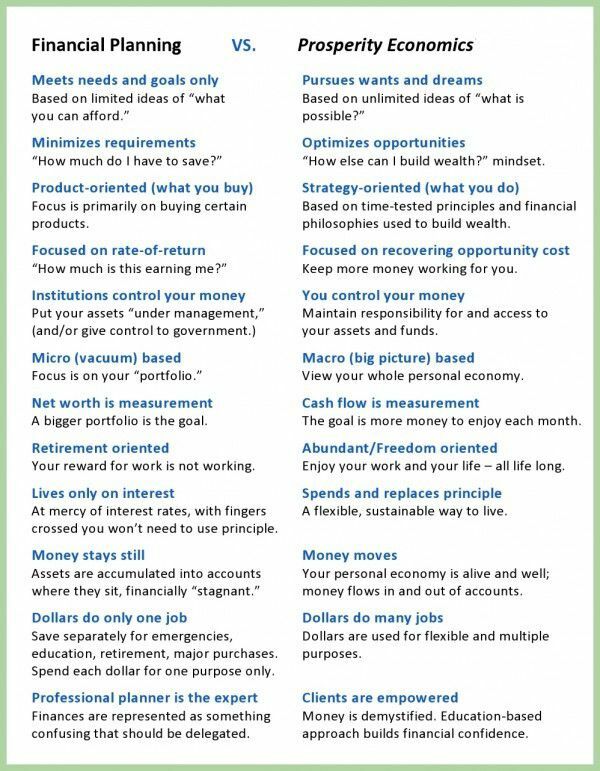 Prosperity Economics challenges the financial assumptions that has been accepted as true and provides an alternative to typical financial advice. We show people how to optimize their wealth by keeping it in their control rather than delegating their financial future to Wall Street, large corporations, and the government. 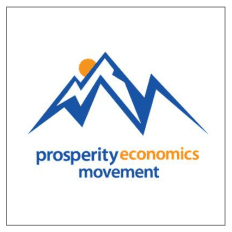 Prosperity economics uses proven time-tested strategies and products that helps build cash reserves, creates an income stream for today, and growth (capital gains) opportunities. • Put up 100% of the money, take 100% of the risks, and the pay a company or someone a management fee whether you make money or not? • Analyze your risk tolerance, which means how comfortable are you with losing your money, while subjecting your assets to losses? • Max out your 401K, cross your fingers, hope and pray that you have saved “enough” to live on, without running out? • Take tax deductions today by putting your money in a qualified retirement plan, only to pay the taxes tomorrow at some unknown rate? • Lock up all your money in accumulation vehicles that penalize you for using your own assets and prevent you from borrowing against them? This is the reason we practice Prosperity Economics. We don’t believe that “typical” financial planning works very well, doesn’t tell you all of the options about building wealth, and leaves gaps to protecting it. Typical financial planning is “better than nothing” and it will get you to a level of comfort. If you want to move beyond comfort to the level of affluence, Prosperity Economics could be the answer. Contact us and see if we could help you.